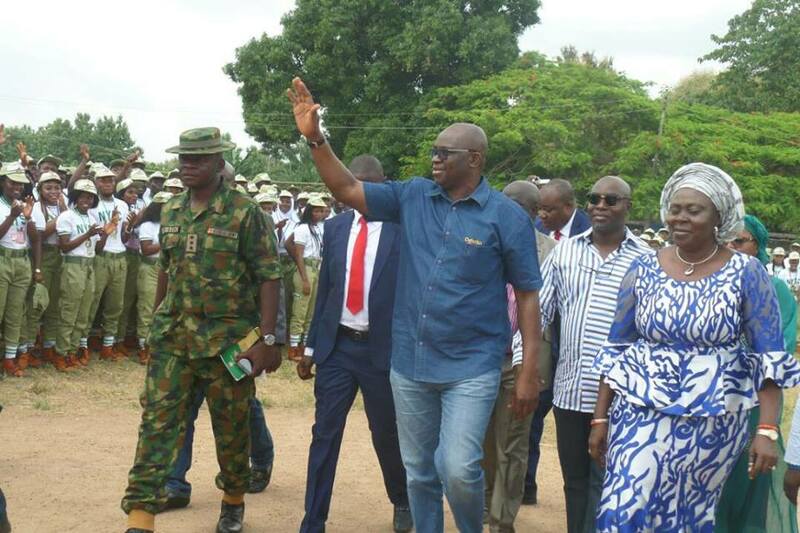 Governor Ayodele Fayose of Ekiti made his first public appearance following the loss of his party, Peoples Democratic Party at the state gubernatorial election. In the election which took place on Saturday, July 14, the candidate of the All Progressives Congress, Kayode Fayemi defeated the PDP candidate and deputy governor, Kolapo Eleka. In a video shared on his Facebook page on Tuesday, July 17, the governor could be seen walking on the road still spotting a neck brace. A crowd of supporters trailed after him shouting his name. Kayode Fayemi of the All Progressives Congress had defeated Professor Kolapo Eleka who is the deputy governor of the state in the July 14 polls. In a series of tweets on Monday, July 16, Fayose vowed that the party would secure its stolen mandate in court. He claimed there was no celebration in Ekiti after Fayemi’s victory saying it showed mandate was stolen from the people.